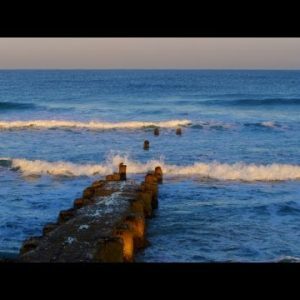 Home Israel Stock Video Footage of Tel Aviv and the Mediterranean Sea shot in Israel at 4k with Red. 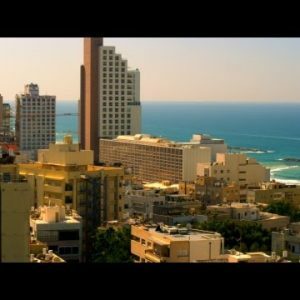 Tags: architecture, aviv, building, buildings, business, city, cityscape, coastline, day, destinations, district, downtown, east, famous, holy, horizon, israel, jaffa, jewish, land, landscape, mediterranean, metropolis, metropolitan, middle, modern, office, panorama, place, red, scene, scenic, sea, sky, skyline, skyscraper, summer, sunlight, tall, tel, tel aviv, tourism, tourist, tower, town, travel. Static shot of the Tel Aviv, Israel skyline looking south toward Jaffa with a bit of the Mediterranean in the background. Shot with the Red One digital camera at 4k (4096 x 2304) resolution on 02/18/2011.